Home › › Mouth and Body › Do You Know About Xerostomia and Sjögren’s Syndrome? Xerostomia is the clinical term for dry mouth, a condition that affects between 10 and 30% of people. 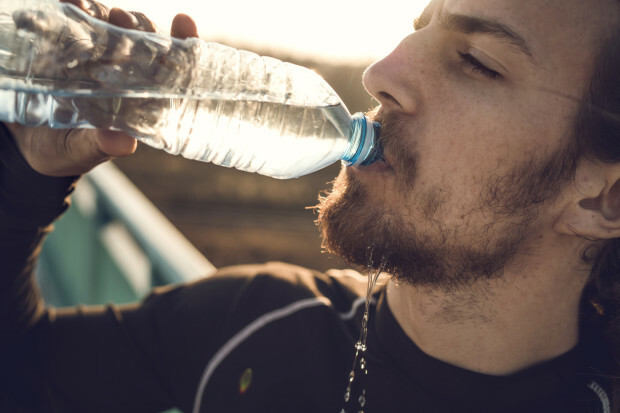 Despite its prevalence, research shows that the symptoms of dry mouth are often overlooked by patients and general dental practitioners, despite widespread education about the condition. Many patients don’t notice it or aren’t fully aware of its harmful potential. However, when symptoms are present, dry mouth is not just unpleasant. There are actually a number of serious illnesses related to xerostomia – like Sjögren’s syndrome. Most practitioners are aware of the effects of xerostomia. The condition is linked to tooth decay, mucosal infections, and salivary gland disease. This can be mild to very uncomfortable for patients. People with chronic or acute dry mouth have difficulties in eating, swallowing and speaking. According to one study, people tend to have reduced self-esteem. But the effects of xerostomia and the illness itself may be a symptom of a wider physical ailment, like diabetes, nerve damage or the rare but dangerous autoimmune disease Sjögren’s syndrome. Patients with Sjögren’s syndrome have an increased risk of dental cavities, oral candidiasis (or fungus), mouth ulcers and even squamous cell carcinoma. They’re actually at higher risk for lymphoma as well. But don’t be alarmed: Sjorgen’s syndrome only affects between .5 and 3% of the population; compared with the common occurrence of xerostomia, it’s very rare. While Sjögren’s syndrome is not the first ailment on the dentist’s mind when they’re diagnosing you with dry mouth, it’s important to remember that even normal, everyday conditions like xerostomia can be a sign of a related pathology lurking below the surface. Talk to your dentist about the cause and treatment of xerostomia. See our newsletter on causes of Xerostomia or dry mouth.